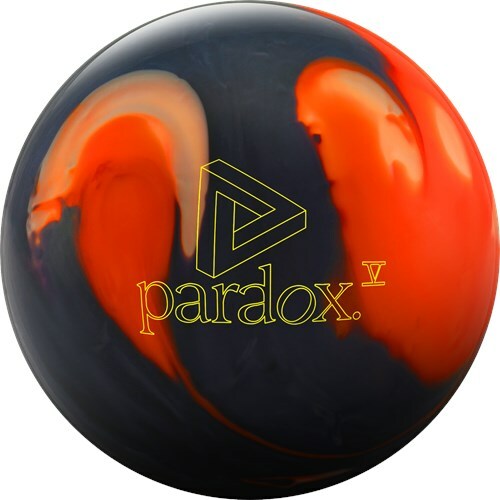 The Track Paradox V is the fifth bowling ball in the Paradox line. This version takes the Prime Pearl coverstock and pairs it with the i-Core 2.0 core. The coverstock offers a consistent and uniform grip on the lane while pushing down the lane with a strong change of direction at the breakpoint. The dual density core proved its success in the predesessor ball. Track took their strongest pearl coverstock and covered their most popular core to offer a great ball for medium to heavy oil conditions. Drilled up the Paradox V last week and was surprised how big the overall hook is, in a good way. I would say it is a couple boards more coverage than my Rhodman Pearl but it is a little bit later but stronger. It goes through the pin deck very hard. Very happy with this ball. The combination of the Paradox core and Prime Pearl cover stock is a winner in my book. Straight into the tournament arsenal. Type :Typical house shot has been really good. One game on unknown sport pattern produced a 239. I drilled the Paradox V with my benchmark drilling and will use it when the lanes break down and I have to start moving left. This ball should compliment one of my all time favorites the Paradox Black! Even with the pin being in the ring this ball still turns the corner. The Paradox series is turning out to be my favorite. The most backend out of all of the Paradox line, and it's beautiful. The Paradox V is very clean through the fronts with an explosive reaction off the end of the pattern. This has become my favorite ball. The pin carry the ball has is phenominal. Even on flush pocket shots the pins are moving left and right. The Paradox V has great recovery so deep inside angles are no problem. Pick the Paradox V at a pro shop near you. Positive Axis Point 4 3/8 right 1/2 up. I didn’t’ change the box surface for the V. I wanted to see its true motion out of the box. I drilled this ball 60x5 1/4x65 (pin below the bridge of the fingers CG swung out a little), this is a smooth layout for me and also gives me the controlled reaction I would want to see from a higher end ball on medium to lighter oil conditions. On the house shot I was able to play farther right when the lanes started to break down, the drive through the pins was excellent. I found the short sport pattern to work best for the layout. Overall I think this is valuable to the Paradox family. When you get a chance please check out the track recommendation tool however before doing so I will strongly suggest you go to your local pro shop and ask for assistance with getting your Rev Rate, Tilt, Axis Rotation and Ball Speed. Page created in 0.635 seconds with 22 queries.